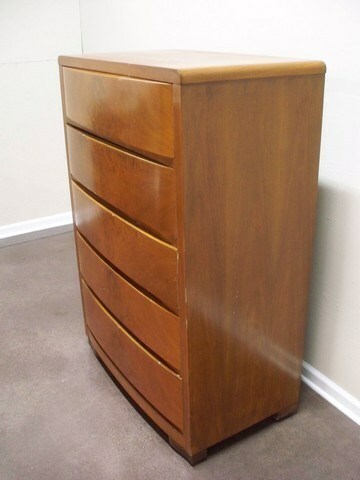 Auction #118S - Transitional Design Multi-Estate Online Auction Broadview Hts. 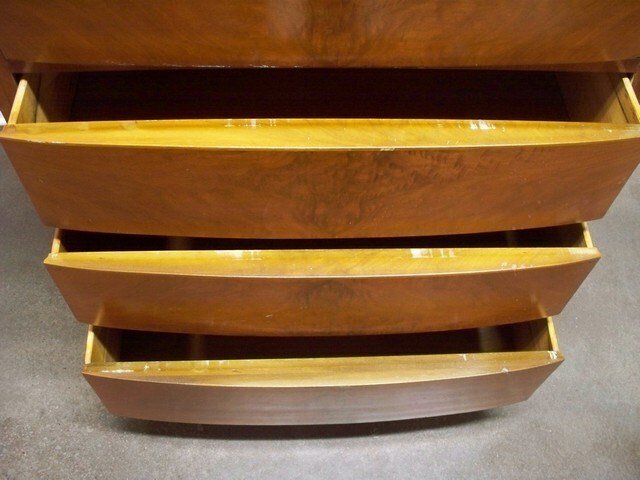 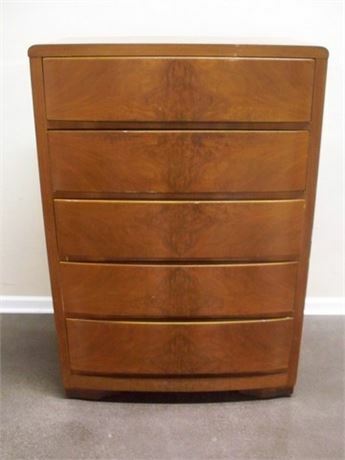 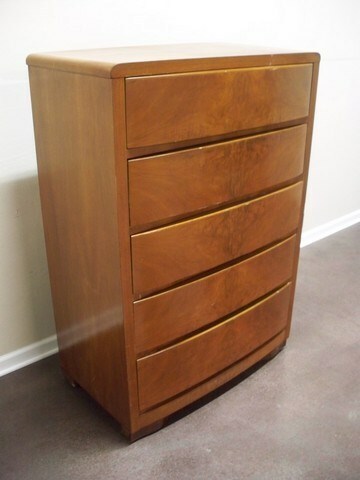 Mid Century 5 Drawer Chest with Dovetail Drawers. 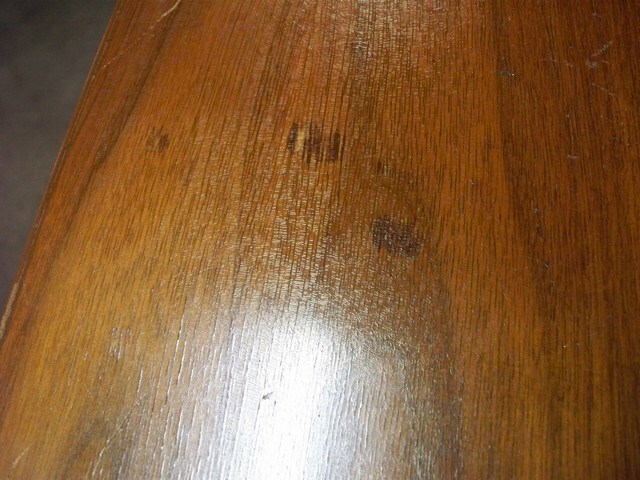 Top has some wear/rings and crazing of the finish. 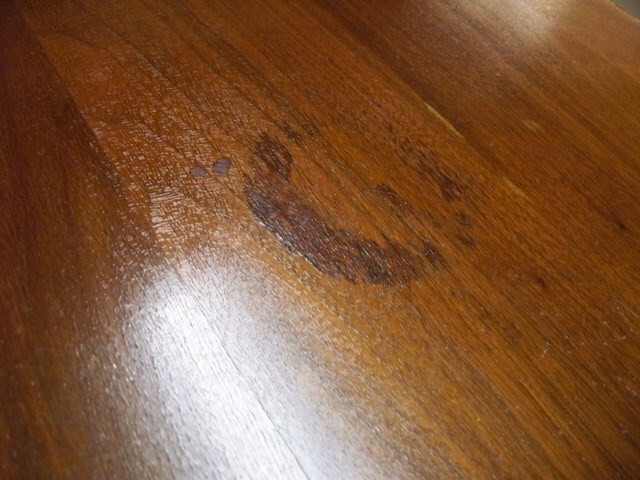 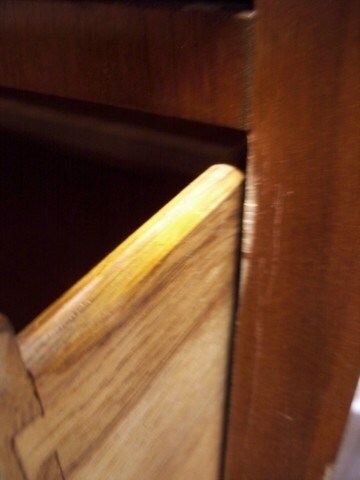 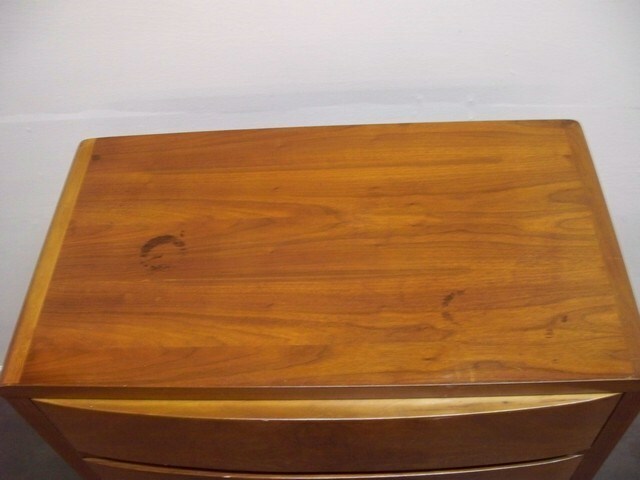 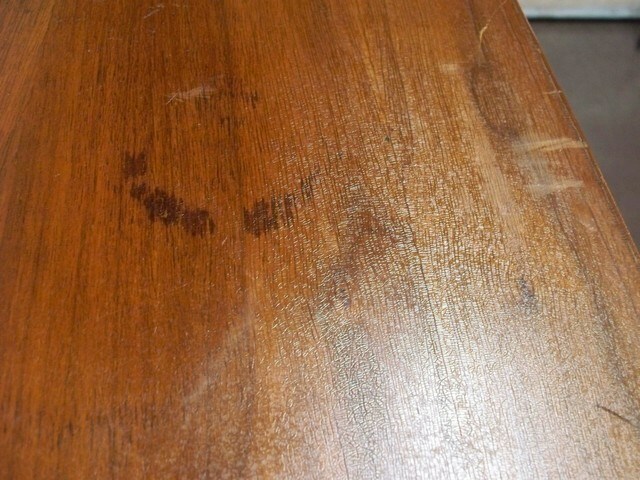 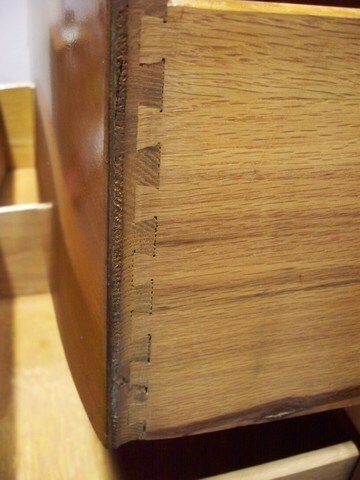 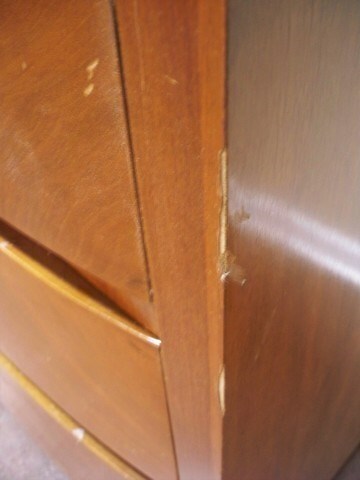 There are a few scuffs and a couple spots of veneer missing by the drawer edges and the right front edge. 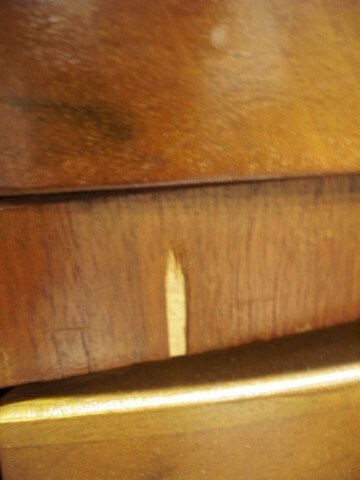 Lots 2 and 3 are companion lots.